teach responsibility, and inspire hope. We believe everyone deserves a childhood that prepares them to be a successful adult. That's why we bring young people and animals together to build empathy, teach responsibility, and inspire hope. 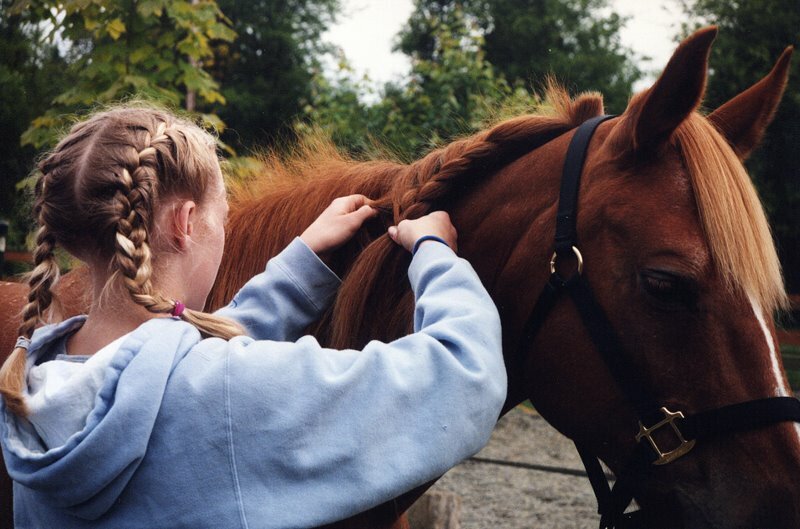 Nature Nurtures Farm brings young people and animals together to build empathy, teach responsibility, and inspire hope. On our beautiful 23 acres of land near west Olympia, we provide supportive, educational, and recreational programs for at-risk and under-resourced youth in our community. Our programs help children build healthy emotional and social lives while taking care of the farm’s many rehabilitated animals. Most of the animals at the farm have been rescued from neglect or abuse and have histories that kids affected by trauma find compelling. Through nurturing these animals, kids begin to recognize and internalize their capacity for resilience and self-care. Sam was 13, living with his grandmother in a trailer in a rural area. He had finally landed in a safe place, but his joy was gone. He was shut down from years of the worst kinds of physical, sexual, and emotional abuse imaginable. Sam had stepped out of this world in order to survive. Sometime during his first trail ride at Nature Nurtures Farm’s summer camp Sam cracked a smile. By the end of that first summer he was playing games and cracking jokes with his peers. Donate to our scholarship fund so more children like Sam can rediscover their joy. Alicia had shoplifted from a few stores before she got caught. At 16 she wasn’t sure what she wanted out of life, but she was pretty clear she was on the wrong path. Thanks to being referred to complete community service at Nature Nurtures Farm Alicia re-ignited her love of animals, and found a place to feel valued and important. She continued volunteering after her required hours were completed until she moved away for college. Alicia graduated with her bachelors’ degree last spring! Join our farm community by volunteering.